Close Your Pretty Eyes is about a girl called Olivia. Olivia has been told that she’s evil, all her life, until she doesn’t know how to believe anything else. She’s been in foster care on and off since she was a baby, and she’s lived in fifteen different foster placements. None of them worked out. Olivia has been rejected so many times that she doesn’t know how to trust anyone. So now she figures that it’s safer to reject people before they reject her. But pretty soon Olivia starts to believe that there’s something wrong in the house. By the ghost of a Victorian mass-murderess. A woman called Amelia Dyer. 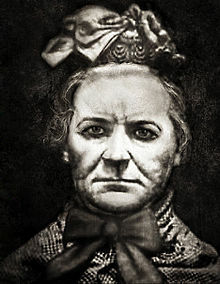 Amelia Dyer killed about four hundred people over thirty years. And now she’s targeting Olivia. Olivia is convinced that she has a destructive purpose of own. But her new family think Olivia is making her up. And sometimes she has memories and nightmares that are as powerful as things that are really there. Olivia does everything she can think of. But Amelia keeps coming. And Olivia grows more and more afraid. As the haunting gets worse, Olivia is sure of one thing. But who’s the real monster – Amelia Dyer, or Olivia herself? And can Olivia find the courage to face her ghosts before she destroys her last chance at a family? Buy Close Your Pretty Eyes here. Brilliant! Totally enjoyed reading this!